Google isn't above killing a little productivity to prove the power of its web browser. The search engine king has released a special free browser-based version of Rovio's avian-flinging sensation Angry Birds on the Chrome Web Store, just to prove it can be done. Announced earlier today at the Google I/O Conference in San Francisco, the new browser-based version of Angry Birds is a testament to how far Google's Chrome browser has come in a short time. According to Sundar Pichai, Google's senior vice president of Chrome, Angry Birds in a web browser wouldn't have been possible a year ago. With a graphics rendering speed ten-times-faster than earlier versions, today's Chrome can make it happen. As can, incidentally, today's version of Safari. Today's version of Firefox, on the other hand, was a bust. No one uses Internet Explorer anymore, so we didn't even bother. 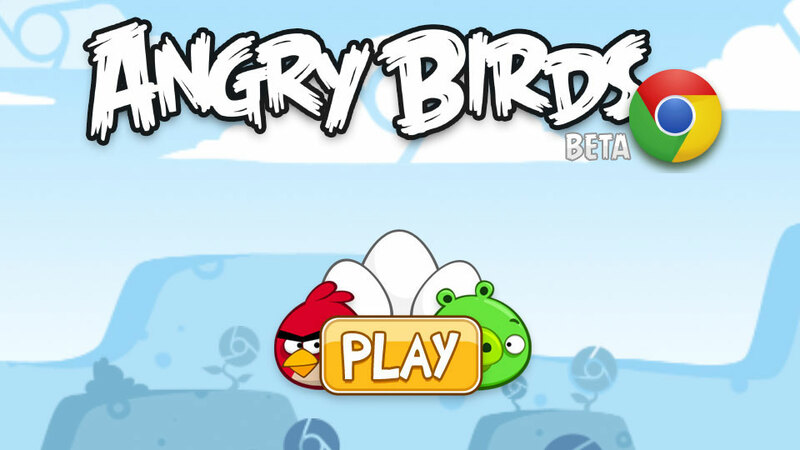 The free version of Angry Birds features the game's first level, Poached Eggs, along with a set of exclusive Chrome-themed levels. You can install it now via the Chrome Web Store. It runs rather nicely, and as an added bonus, remains cached for offline play. Now if you'll excuse me, I've got pigs to kill. How did you guys use it with other browsers if it's a Chrome app?